Inflatable balls are more than just fun tool to bounce on. They can be used for exercises to get people in shape. If you have recently purchased an inflatable ball, you may wonder how to effectively use it. Well you’re in luck! We have complied a list of 3 exercises you can do with your new inflatable exercise ball. Core exercises are great for strengthening your back and abdominal muscles. The most common exercise to strengthen your core is to do an abdominal crunch. With an inflatable ball, this exercise takes on a whole new challenge. To begin, sit on the ball with your feet resting on the floor. Keep your legs about hip-width apart and keep your back straight. Lean back, until you feel the muscles in your midsection tighten. Return to the start position and repeat. 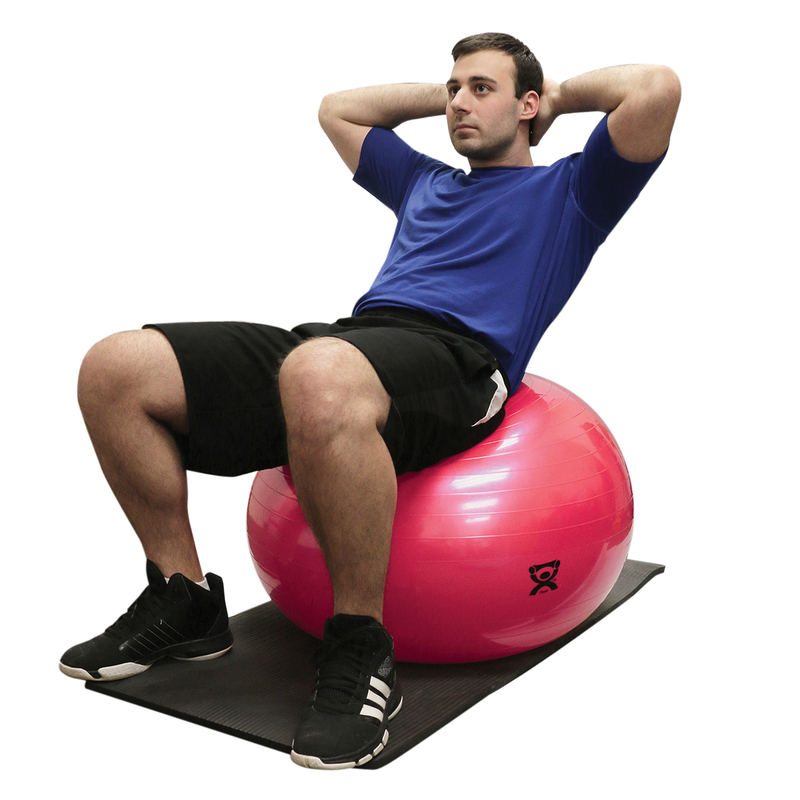 The abdominal ball raise is an exercise that works on your lower abdominal muscles. Muscles in the lower abdomen and around the pelvic region will start to feel the burn with this exercise. To begin, lie on your back and rest your legs on top of the ball with your legs hip-width apart. Tighten your abdominal muscles and squeeze your legs together. Return to the start position and repeat. On flat ground it may be hard to do a reverse crunch. With an inflatable ball the reverse crunch is made possible. Lie on top of the ball on your stomach, with your feet touching the floor behind the ball. Be sure to keep your shoulders directly above your hands. Lean forward until you touch the floor with your hands. Walk your hands away from the ball until you feel the ball reach your upper thighs. Return to the start position and repeat. With inflatable balls, a lot of different core exercises are possible. Just inflate your exercise ball and discover which core exercise you like best. For more information on how to use inflatable exercise balls, click here.